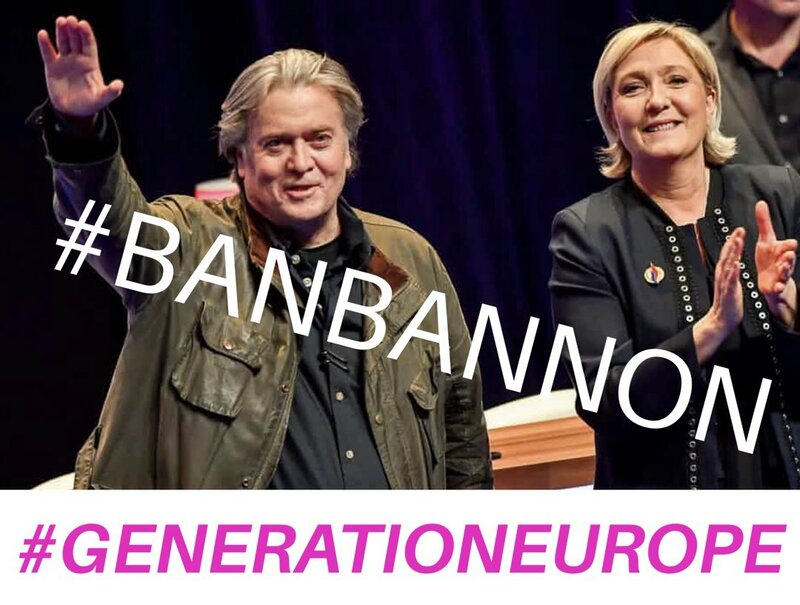 Steve Bannon’s far-right vision & attempt to import Trump’s hateful politics to our continent will be rejected by decent Europeans. We know what the nightmare of nationalism did to our countries in the past. We must #BanBannon! #GenerationEurope must stop him! 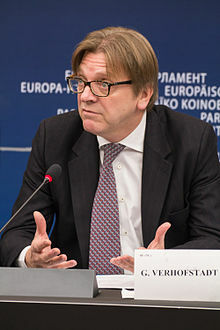 This was tweeted on Sunday morning by Guy Verhofstadt, former Prime Minister of Belgium, leader of the Group of the Alliance of Liberals and Democrats for Europe (ALDE) in the European Parliament, and the European Parliament’s representative in the Brexit negotiations. The tweet comes in the wake of a story covered by a number of media outlets that Steve Bannon has announced plans to establish a European foundation to fuel the spread of right-wing populism across the continent. Steve Bannon is the American media executive, strategist, former investment banker, and former executive chairman of Breitbart News who aimed to leverage data-driven technology to push the hearts and minds of voters toward his populist vision for America. He was appointed chief executive officer of Donald Trump’s 2016 presidential bid, and became Chief Strategist in the Trump administration. He left this position in August 2017. In the 1990s, Bannon was an executive producer in Hollywood, and produced 18 films between 1991 and 2016. In 2007, he co-founded Breitbart News, a claimed far-right website which he described in 2016 as “the platform for the alt-right”. Video – “Steve Bannon’s baby”: Did Cambridge Analytica use “Military Strategies” on behalf of Trump campaign to wage culture war? 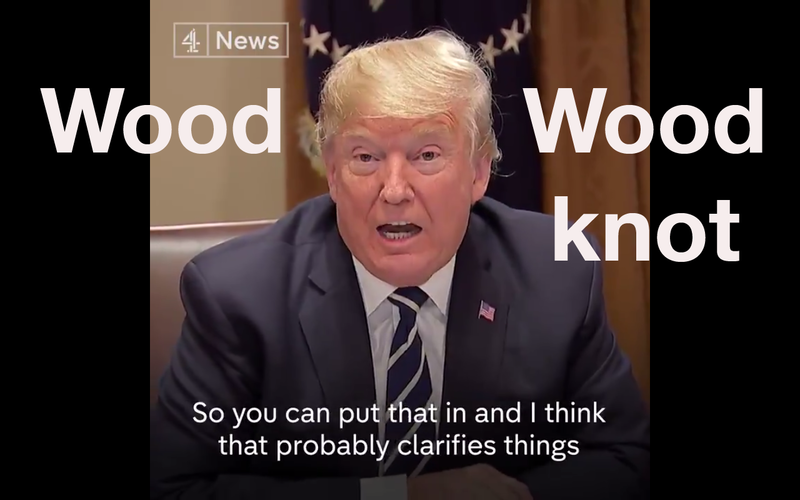 The video is about Bannon and Cambridge Analytica, a subsidiary of the British SCL Group that for 25 years worked with 60 governments including the UK and American governments, helping fight drugs, crime, terrorists by changing the opinions of foreign populations, using psychographic profiling, and psychological operations and strategic messaging to manipulate public opinion. 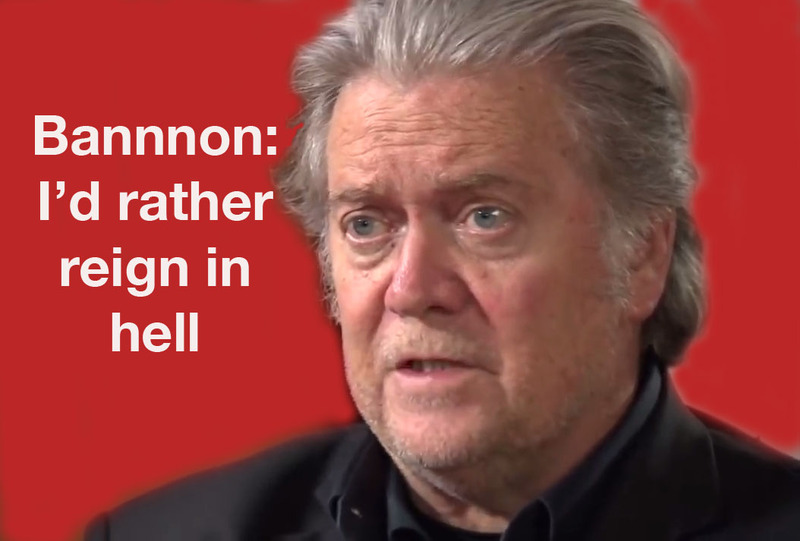 This is exactly what Bannon wanted to do in the United States, according to the CNN video, so Bannon created SCL’s American Arm, Cambridge Analytica, using 15million dollars from conservative donor Robert Mercer and his daughter Rebecca. Then according to former employee, Christopher Wylie, a Facebook app was used to target 15 million people to influence their opinions and push them to the right, making them more accepting of an alt-right vision.) Bannon worked for two years to refine and test his messaging, putting his results into practice in the Trump campaign, blasting his messages to American voters. Cambridge Analytica downplayed its work for the Trump campaign, insisting it did not use controversial Facebook data, and insisting elections were won and lost by candidates not data science. On Cambridge Analytica, Christopher Wylie makes it clear, “This was Steve Bannon’s baby,” he said. Wylie described Cambridge Analytica as “Bannon’s arsenal of weaponry to wage a culture war on America using military strategies.” Bannon’s goal was never just about winning one campaign but to fundamentally change America, with Bannon viewing it as warfare on American citizens, using as aggressive techniques as he could get away with. Wylie asserted Bannon and Robert Mercer were using a foreign military contractor to use against Americans some of the same military techniques the military use against Isis. Bannon rejoined Breitbart News when he left his position with the Trump administration in August 2017. According to Wikipedia, when it came to UK political parties Bannon favoured the British National Party (BNP) and the English Defence League (EDL) but later backed (UKIP). He has encouraged Nigel Farage, the former leader of UKIP, to return as leader. Recently he has called for the release of former EDL leader Tommy Robinson from prison, describing him as the “backbone” of Britain. 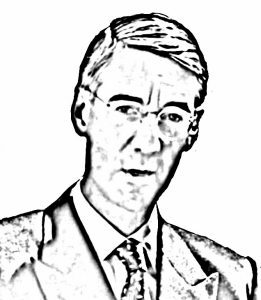 Jacob Rees-Mogg (son of William whom I wrote about in my previous article was described by Bannon as “one of the best thinkers in the conservative movement on a global basis”, but not seemingly good enough to become Prime Minister as he has urged Boris Johnson, with whom he is “very impressed”, to challenge Theresa May. Bannon told the Daily Beast that he wanted to “go toe-to-toe with George Soros and spark a right-wing revolution in Europe.” He plans a right-wing alternative to George Soros’s Open Society Foundation, which has, since its establishment in 1984, given away $32bn to largely liberal causes, though Bannon has not said how much of his own money he will commit to his project. These right-wingers are presently enjoying a significant surge in support in many countries, even countries within the EU. Over the past twelve months Bannon is said to have had meetings with right-wing politicians in Europe, including Nigel Farage, members of Marine Le Pen’s Rassemblement National in France, and Hungary’s Viktor Orbán. He told the Daily Beast that he envisaged a “supergroup” within the European parliament. This “supergroup” he sees as having as many as a third of MEPs after next May’s European parliamentary elections. According to the Daily Beast, Farage and Le Pen would take the lead in pinning down the logistics of creating a new European parliamentary grouping that could be home to all of the right-wing populist parties. “A united populist bloc of that size would have the ability to seriously disrupt parliamentary proceedings, potentially granting Bannon huge power within the populist movement.” This is interesting in the light of recent comments from Farage indicating he might well return to front-line politics. The assumption was that this would be as leader of UKIP, but if Bannon gets his way Farage might well become leader of a large group of right-wing MEPs in the European Parliament, elected as an MEP from another EU country, aided by Bannon’s foundation. Bannon told the Daily Beast, “I’d rather reign in hell, than serve in heaven,” he said, paraphrasing John Milton’s Satan in Paradise Lost.” That comment might well tell us much about his intentions. The Movement is to serve as a link between Europe’s right-wing movements and the pro-Trump Freedom Caucus in the U.S. These links appear well established as the Daily Beast comments, “Bannon and Raheem Kassam, a former Farage staffer and Breitbart editor, set up shop in a five-star Mayfair hotel for a week while Donald Trump was visiting Europe. Between TV appearances as Trump surrogates, they hosted a raft of Europe’s leading right-wingers at the hotel.” One of these visitors was Kent Ekeroth of the Sweden Democrats, the party, with its roots in the Neo-Nazi and white supremacist movements of the 1980s, and which has recently catapulted to almost 20% in the polls. By helping address the lack of expertise and finance, Bannon has sniffed out an opening for his foundation, enabling it and him to take a stranglehold on Europe. He cites the fact Le Pen’s Party was kept afloat in 2014 by Russian loans as French banks refused to extend lines of credit for the Front National. Amazed to discover populist movements in Europe were working in silos, not pooling skills or sharing ideas with each other, Bannon says his Movement plans to research and write detailed policy proposals that can be used by like-minded parties, and, depending on electoral law in those countries, the foundation may be able to play a direct part in some campaigns while bolstering other populist groups indirectly. According to Bannon, the first thing they teach you at Harvard Business School is operating leverage, so with his expertise, contacts and financial backing, he is convinced he can have enormous impact across the whole of Europe. 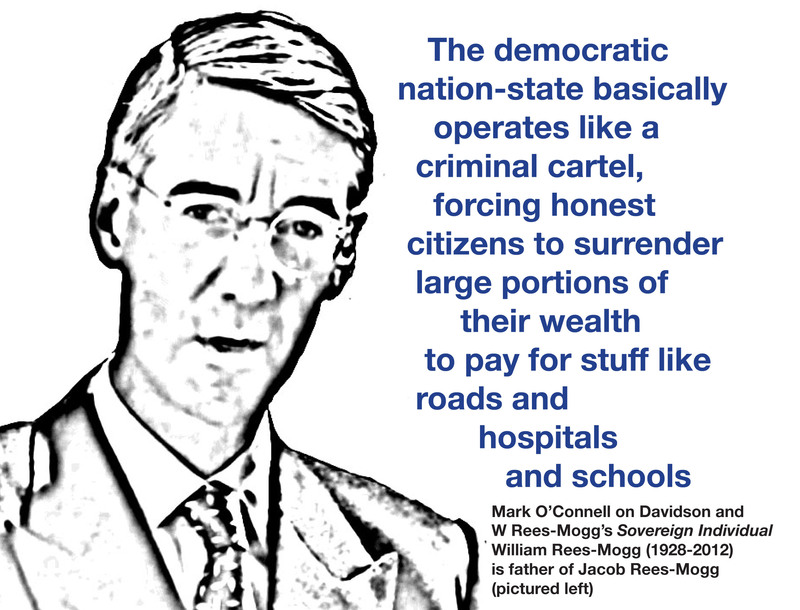 He cites Five Star and the Northern League in Italy where their own credit cards were used to take control of the seventh largest economy in the world. “It’s insane,” he said, but it’s exactly what he has in mind for his Movement, saying that if that kind of campaigning works there then it can work everywhere. “The grassroots movements are already in place waiting for someone to maximize their potential. ‘It will be instantaneous—as soon as we flip the switch,’ he said.